Our girls love grilled chicken and grilled steak. We find that when we use our mobile charcoal grills to prepare meats outdoors and then serve in our dining room, the campers enjoy the meal more and eat more lean protein. We offer grilled chicken on our buffet everyday at lunch and our older campers especially enjoy making their own grilled chicken Caesar as part of a healthy lunch. 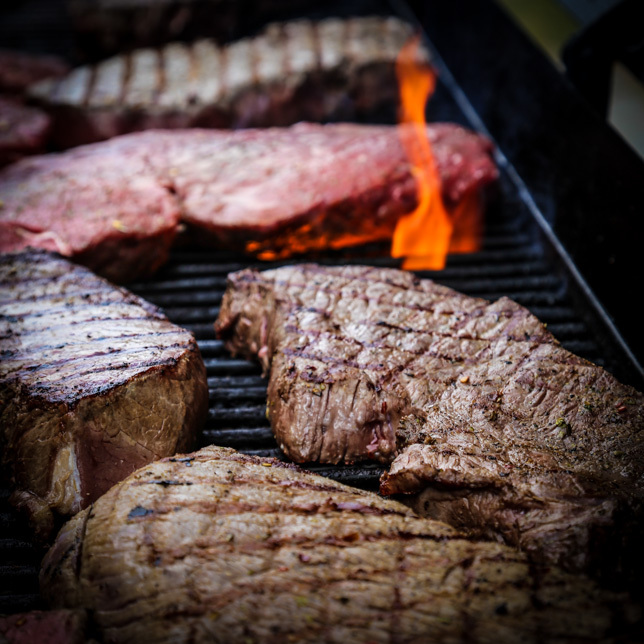 Grilled steak, which we serve in moderation, is a very popular meal at camp.